NBC 6's Ari Odzer provides details on Brenda Snipes, the supervisor of elections in Broward County. Brenda Snipes became the Broward County supervisor of elections in 2003 after the calamitous issues in the 2000 election. Though under new management, issues at the county persisted. On Friday, Snipes' office accidentally mixed a dozen rejected ballots in with 193 valid ballots. The incident comes as Florida faces a possible election recount in the U.S. Senate, Florida governor and Commissioner of Agriculture races. Snipes was appointed to serve out a term in the role by former Florida Gov. Jeb Bush and she has won re-elections ever since. She has been re-elected despite some controversies along the way. Though her office is currently under intense pressure, it's not the first time Snipes has been under bipartisan scrutiny. The history is mixed, however, as the 2008 and 2010 elections had no issues. Broward County was still counting ballots days after the election. 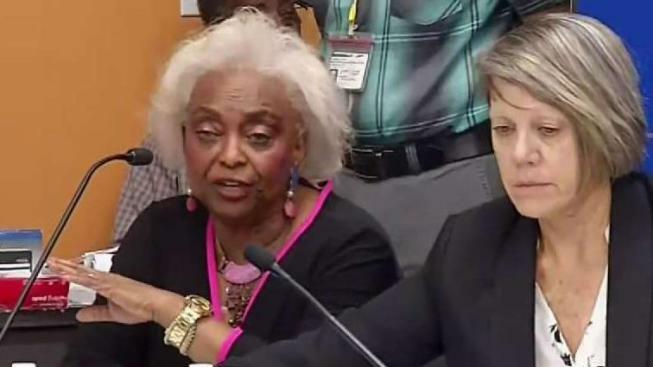 Broward County commissioner Michael Udine said it was unacceptable that Snipes and her office had not updated the public on the progress. "It's the Broward County brand that you're talking about. I mean, to the rest of the world, this looks like chaotic incompetence," Udine said. "Every legitimate vote that was cast by somebody should be counted. It's important to count all the votes. People expect their votes to be counted," Udine said, adding that the mistakes made by Snipes and her office "shouldn't negate that we should county validly cast votes."